These handmade graters work amazingly well for grating garlic, ginger, turmeric, parmesan and nutmeg. Metal utensils will damage the grating surface. I use a chopstick to gather my puréed garlic or ginger and to mix my ingredients. You could also use a small brush, but the chopstick is really the best. 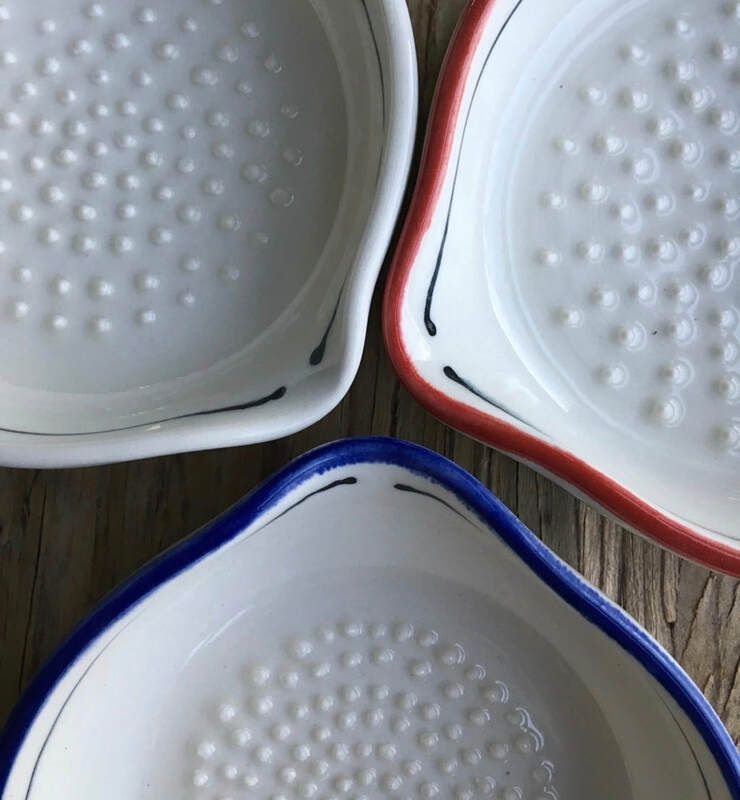 Using the Grate grater to make and serve garlic oil is easy and pretty: just grate your garlic in the grater and add oil, balsamic (if you wish) and serve with bread. Delish! 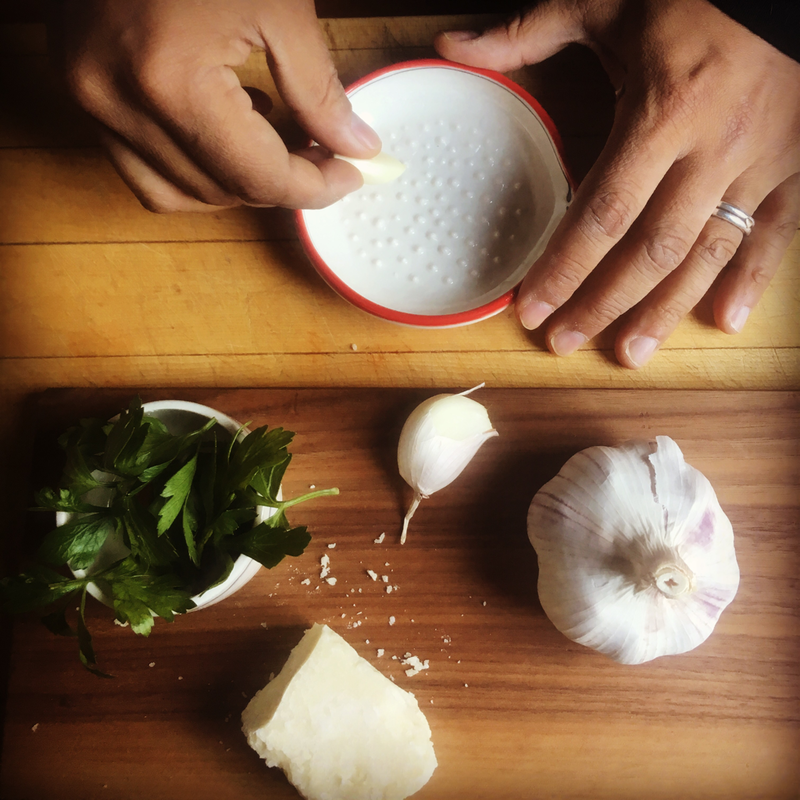 To grate garlic, peel the skin off the clove, then hold on to the garlic bulb firmly with your fingertips and rub the garlic with gentle pressure in circles on the dotted surface. I like to add a bit of salt first so the garlic turns to paste. 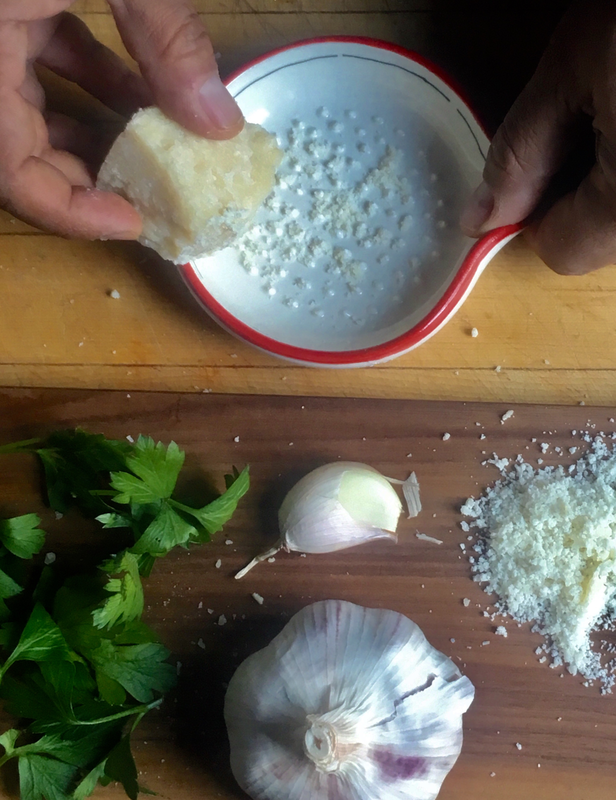 To remove the garlic use your fingers or a small wooden spoon. Metal utensils are not recommended. I love to use the grater to make lemon vinaigrette. After grating the garlic, squeeze in half a lemon and add salt and pepper. Adding some fresh thyme to that delivers more awesome.Pour in some olive oil and swish it around a bit and pour it over sliced radishes, chopped onions and cucumbers and let that macerate for a bit. Then add lettuce and toss it all together. For grating parmesan make sure the grater is dry and take a chunk of parmesan and holding it firmly rub it in a circular pattern. Voila. For dipping oil, grate garlic, add olive oil and a little salt and pepper and scoop up with baguette. For even more adventure add a splash of balsamic vinegar. To make garlic butter, grate garlic, add melted butter and mix. 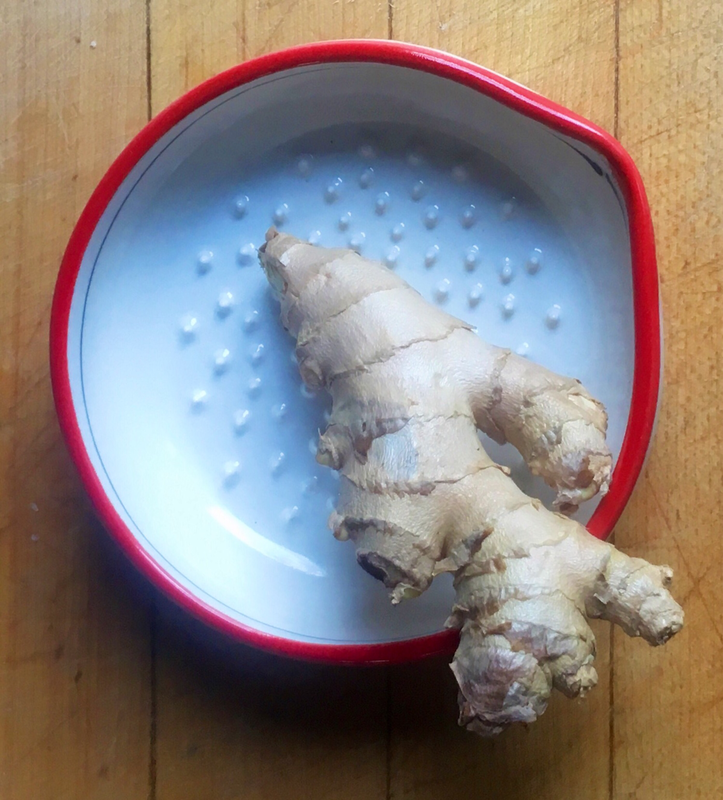 To grate ginger, peel a piece of ginger and holding it firmly with your fingertips rub it in circles on the dotted surface. Wash the grater with soap and warm water.